Sock Monkey Realness! | Sweet Pops! Taste our yummy Sweet Pops! Once you try them, you will never go back to regular cake again! You are here : Home Pops! Update Sock Monkey Realness! Connect with Sweet Pops! on these social networks. Ordering from Sweet Pops! By Beth is quick and convenient. You will not be sorry you did. 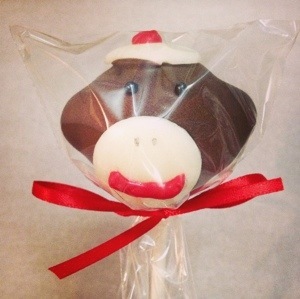 Our cake pops can be shipped to anywhere in the US. Sweet Pops! by Beth are great for any celebration. You can even celebrate another day just to get some Sweet Pops! 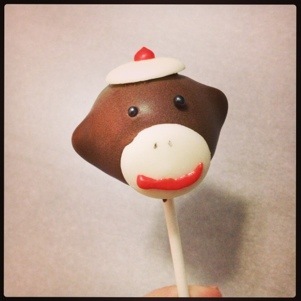 Hi, I'm Beth, and I love creating cake pops. I would love the chance to customize them for your event. Sweet Pops by Beth are not only adorable, they taste delicious too. I ordered some for my son's Sponge Bob party and they were a hit! Beth always outdoes herself! Beth really delivers! The taste is amazing, and she can design anything. These cake pops are just as good as they look-moist, delicious, and YUMMY! I have ordered from Beth on numerous occasions and have never been disappointed. The cake pops are perfect for any event. You will LOVE their quality and value. Sweet Pops! © 2019. All Rights Reserved.